ALLEGRA BOVERMAN/Gloucester Daily Times. A homemade device was found by Gloucester police behind Fastenal on Whistlestop Way in Gloucester. 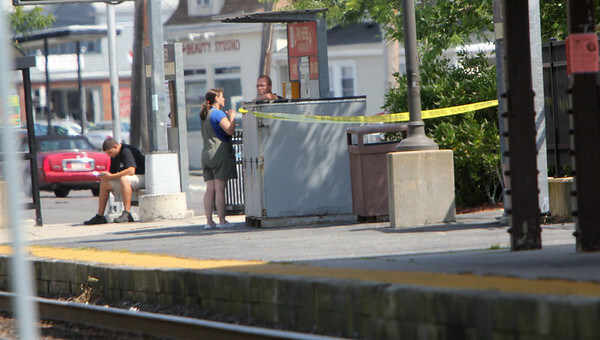 During the investigation, part of the Gloucester MTBA Station platform was cordoned off with caution tape in the area around the device. The device was declared not dangerous after a Massachusetts State Police Bomb Squad member evaluated it on Wednesday afternoon.